I know, I know. It's the dreaded word that even the most extroverted of us tend to hate. When I started in my career and grad school, I thought that it something you could choose to not do and you would still be successful in the industry. And in some cases, you can get a good entry level job in the industry without knowing anyone or working your contacts. But for some it can be hard and nerve wracking, causing panic and anxiety. That was me. That is still me. I've taken steps to calm it (read my tips for networking with anxiety in my previous post: Tips: Networking with Anxiety), but it can sometimes still rear its ugly head. 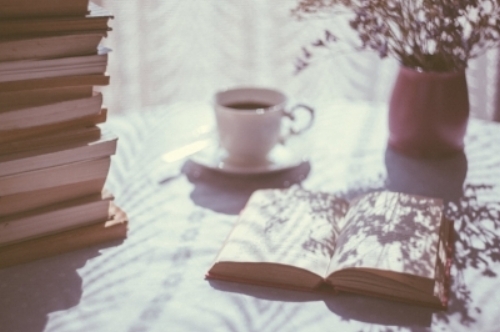 Sometimes we all need a little guidance before we take a step out the door to an event, click "share" in an online group, or click "send" on a cold email, and there are a few books out there that provide the basis for connecting with others. There are so many tools and resources available to learn how to network in business, music, and and in life. Here are two books that positively impacted my own networking and confidence to approach others. 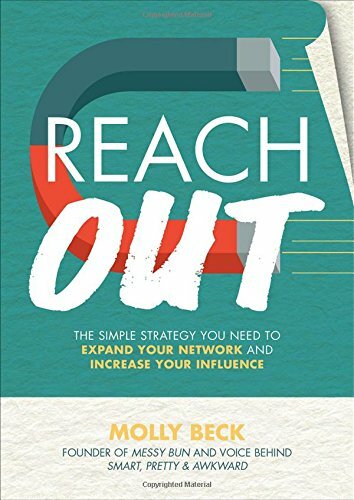 Reach Out by Molly Beck isn't just another business or communications read - Molly gets you involved in the book from page one, telling you to have two documents open - either two Word documents or two pages in a notebook - and to be ready to take notes and to strategize. Search Molly on Forbes.com and you'll find not only articles on Molly and Reach Out, but articles she wrote that provide simple steps to take to decide who to contact, how to plan to reach out, and how to not take it personally when you don't hear back. Molly's steps make sense, are easy to follow, and build off each other so that you too can reach out each and every day to build a network of acquantances, colleagues, friends, and mentors. If you're in the Los Angeles area, Molly also occasionally teaches courses on branding, podcasting, and more at General Assembly in both DTLA and Santa Monica. Her courses contain excellent tools to implement in your music business career. I met Dan Kimpel a few years ago during my first year of graduate school. We read his book for class, and then he came in and talked to us about the importance of networking, especially in today's music industry. He told stories of networking at jobs completely unrelated to music, but then later connecting with former co-workers on the red carpet - him as journalist, and them as famous musicians. 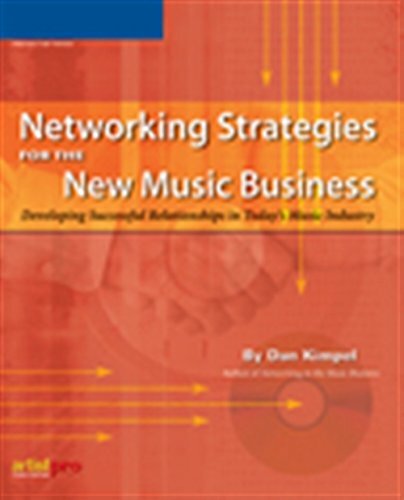 Dan's book, Networking Strategies for the New Music Business, is a guide to creating personal relationships and developing the people skills necessary to be successful in the music industry. He discusses everything from basic verbal and non-verbal communication to dealing with personalities, location, creating tools to sell yourself or your craft, and defining your strategy and the direction you want to take, with a heavy dose of anecdotes to hit these concepts home. This is a must read for anyone aspiring to work in the music industry, but who may not have solid networking acumen. These two books set me on the right track for my career and for my journey into entrepreneurship, but I knew reading was one thing, and to move forward in my career and be a successful entrepreneur, I had to connect with other people. I started off easy by joining Facebook communities for female entrepreneurs and creatives, but then bit the bullet and traveled to Chicago for four days to attend the She Did It Her Way Summit in person, attended free courses at General Assembly (where I met Molly for the first time), and engaged with women in music online to bring The Broken Glass Blog and The Broken Glass Podcast to life. I learned the importance of networking and connecting with like-minded businesswomen and creatives. The Broken Glass Blog and the soon-to-launch Broken Glass Podcast provide opportunities for you to read about women in music, learn about the tools and resources available to you, and listen to stories of how women became successful. I want to take it one step further though, and create a community for women in music - musicians, songwriters, executives, marketers, publishers, producers, supervisors, and any other career path in music - to connect, to collaborate, to share ideas, projects, and opportunities. The Broken Glass Collective is designed to be that space - an online group for women globally to connect, share, and network - with in-person networking opportunities to come. Join the The Broken Glass Collective Facebook Group to be in the company of other women in music with similar goals and struggles, eager to make their voices heard. There are so many exciting initiatives coming soon to the Collective, so be sure to join now so you don't miss out! Networking. The word that sends a chill through even the most social of us. Just out of college and at the beginning of my job search, I scoffed at the idea of networking. Why do I have to go talk to people I don’t know to hopefully get a job? Can’t I just get a job on my own merits - education and experience? I naively thought that an education in the music industry and a three-month internship would land me the perfect foot in the door job, but I learned that it wasn’t enough. After 7 years of working part-time and full-time jobs unrelated to music, I realized I needed to not only be in a major city but that I needed to be involved in something that would allow me to meet people in the industry. I was accepted to a Master’s program in Music Industry Administration and moved to California shortly there after. Preparing for my imminent move, I revised my resume to include the graduate program and applied for jobs like crazy. Lo and behold, I received a call from a music company to schedule a Skype interview. Do you want to know what prompted that call, subsequent interview, and the job offer I received? Networking. Now I didn’t exactly go and walk around a room talking to strangers, but there was a connection that helped me get my foot in the door: the director of my Master’s program was the Chief Marketing Officer at the company, and the hiring manager had an eagle eye when it came to seeing that program on resumes. That was a wakeup call for me. I was hired in the music industry because of a connection. And that’s how a lot of jobs in this industry work - it’s not what you know, it’s who you know (I still loathe that phrase). As scary as networking was (and still is) for me, I knew that if I wanted to further my career in the industry, I absolutely had to start networking. I had to get to know people at my current job, attend networking events hosted by the university, connect with guest speakers in our class, and put myself out there. Shortly after college, I was diagnosed with General Anxiety Disorder and Social Anxiety Disorder. I'm sure you can imagine how I not only feel about networking, but socializing with new people in general. I knew that I had to manage my anxiety if I wanted to further my career, so I came up with techniques to help manage my anxiety in the comfort of my own space, and then applied those techniques in social interactions and at networking events. It ranged from repeating mantras to myself - "It's not life or death" or "Everything will be okay, it will all work out" - to taking a deep breath, closing my eyes, picturing the ideal end result of the interaction, and letting the fear wash away. I remember the first few networking events I attended after moving to California. It was after a speaker series at the university, and I'm pretty sure I talked to just one of the speakers. I thanked him for coming and then stood there and nodded while my classmates continued the conversation. But just showing up and finding the courage to thank the speaker was a step in the right direction, and each subsequent networking event became a bit easier until I could walk up to a speaker and initiate a full conversation. If you're like me and networking terrifies the living daylights out of you, start slow like I did. Go to an event, and even if you sit in the last row in the corner of the room, you've attended. Keep attending. Talk to the person in the seat next to you, talk to the person in front of you and in back of you. You'll not only slowly start to gain more confidence, but the energy of the people in the room will get you excited about the topic, about being an artist or an entrepreneur, and soon enough you'll find yourself standing up to ask a question or walking up to the speaker at the end of the event. A large part of my fear of networking is wondering what people will think of my lack of experience in the industry, initiating a conversation that I just can't keep up with, or saying the wrong thing, retreating into myself, and awkwardly excusing myself from the conversation. I can't entertain those fears anymore. I now go into networking events with confidence in my knowledge, skills, and myself. I stand tall, be exactly who I am, and not give in to other people's opinions about me. They're just that - opinions - and I'm not going to let them derail my successes, goals, and dreams. So how do you change that mindset? One of the techniques that helped me was to actively listen with an open mind. I listen without becoming defensive, and while I may not agree with an opinion I don't let it get to me. And when I walk away, I tell myself that it's insignificant in the grand scheme of things, of life, and I move on. Are you a networking guru, or do you feel the networking anxiety too? Comment below with your tips, tricks, and techniques for overcoming your fears and networking!